The daffodils just came out…I didn’t even know they were gay. I dug a hole in my garden and filled it with water…I meant well. My neighbors hate it when I talk to my plants…I use a megaphone. I went online to search for “difficult garden plants” …nothing came up. I used to wear a flower in my lapel, but I stopped. The pot kept banging me in the nuts. For the third night in a row, someone has been adding soil to my garden…the plot thickens. A friend of mine is so vain, he goes into the garden so the flowers can smell him. Yesterday, I only watered half my lawn. I heard there was a 50% chance of rain. I just found pebbles in my pond filter. Fred and Wilma are going to be very upset. Once there was a beautiful woman who loved to work in her vegetable garden, but no matter what she did, she couldn’t get her tomatoes to ripen. Admiring her neighbor’s garden, which had beautiful bright red tomatoes, she went one day and inquired of him his secret. Gardening jokes make me feel good from ma head to ma toes. World Naked Gardening Day, I kid you not. May 7, 2016. These are some of the weirdest stories that made us rub our eyes today and go, "Huh?" I intend to have some hoeing done by the local hotties. 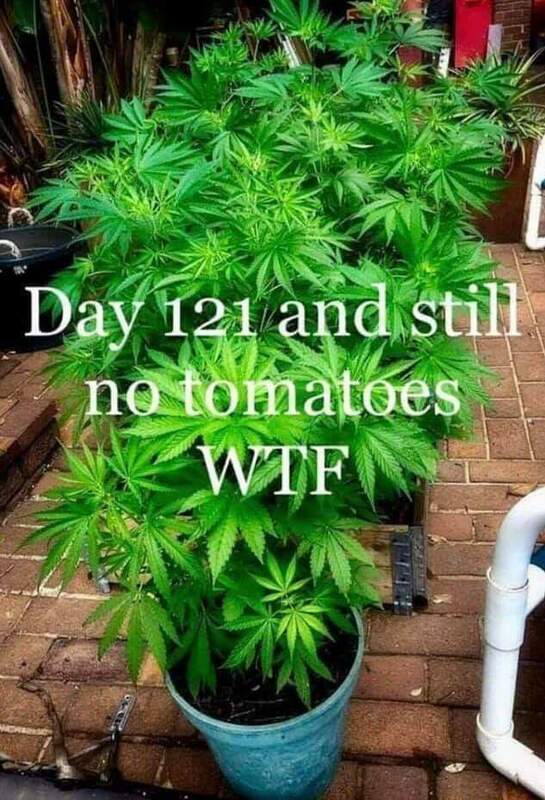 You’re going to squeeze the tomatoes? And hopefully I’ll possess nine-inch cucumbers.